Gold PVD Gem set Rook Ear Piercing ring with hinged opening made out of 24K Gold PVD coated Steel. The jewels are clear and the centre one is slightly larger than the 2 surrounding ones, the gem trio is slightly off centre and looks stunning in a rook piercing. 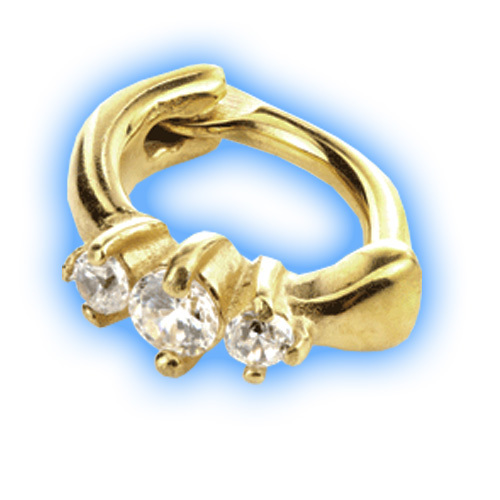 This ring is available in either 1mm (18g) by 6mm or 1.2mm (16g) by 8mm.